Starting with the journey there – as I caught the train in from Windsor (the conference was at Waterloo, an easy commute from Windsor) and Windsor is a mistletoe hotspot. Regular readers will, obviously(! ), know this already as I mentioned it last year when reporting on a drive up the Thames valley. But on this journey I was looking at the wider landscape, trying to spot mistletoe in the riverside trees (the line runs close to the Thames for much of the first section). Sure enough there were several sections with significant mistletoe colonies – and I, foolishly perhaps, decided to try recording them using a phone camera. Of course, by the time I had spotted a colony and got the phone pointing at it, we had moved on several hundred metres… And on the way back again in the evening it was dark. Meanwhile, at the conference, churchyard trees and the challenges of managing them, were discussed at length. Presentations were made by a mixture of tree experts and clergy, with a general underlying theme that more could and should be done to manage, conserve and plant more churchyard trees, with a particular emphasis on seeing them as part of the individual church’s history. Indeed, in the case of many of our churchyard yew trees, the argument could be seen as the opposite; many of our older churchyard yews clearly pre-date their particular church’s foundation (some are 2000 years-old), so it is how the church relates to the tree, not the other way round. Typical churchyard mistletoe – growing on a lime tree in an open situation. Where does mistletoe fit in to this? Two ways – firstly as another, like yew, evergreen with a long history in tradition and religion, so it has relevance at least. 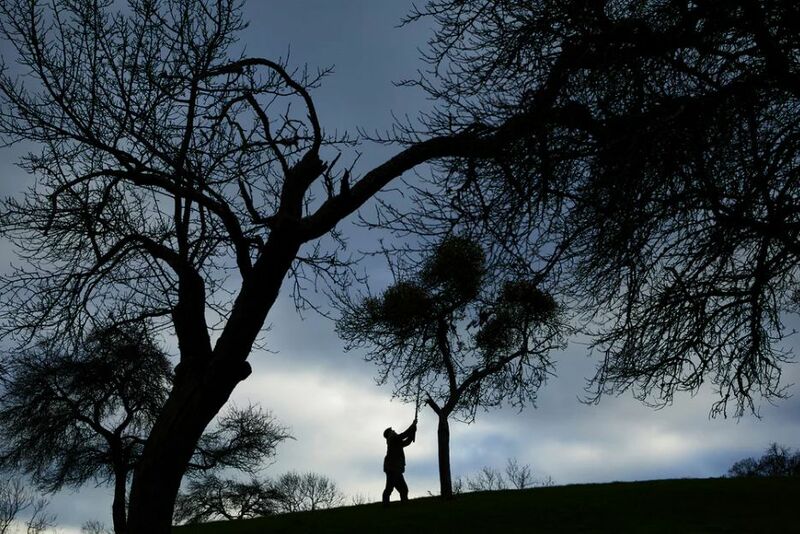 Secondly, mistletoe loves churchyard trees – they are a perfect habitat, being well-spaced. The mix of native and exotic species often ensures at least one suitable host. So was mistletoe mentioned? Er, no. Not at all! Apart from by me in conversations over coffee and lunch. But those discussions were useful, I think, highlighting the value of churchyard tree for mistletoe and the potential for mistletoe to be deliberately planted as part of a tree management project. It always becomes a talking point, particularly outside its main geographical area. Good for biodiversity too. And, last but not least, it has religious relevance. Mistletoe season looms… and if you want to grow your own talking point have a look at the Mistletoe Grow-Kits from the English Mistletoe Shop. Too early for mistletoe? Maybe. – It’s too early to say how good a year it is for mistletoe – there are quite a lot of berries, but they are still unripe and it is impossible to say how big they’ll get or exactly when they’ll turn white this season. There’ll be more info in a few weeks time. 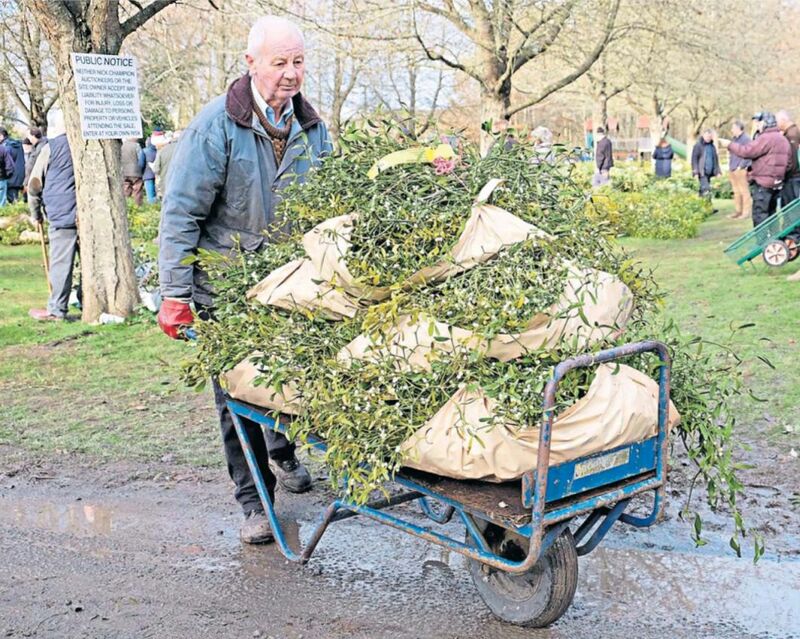 – Mistletoe Auctions in Tenbury will again be at Burford House Garden Stores. Dates are Tuesday 29th November, Tuesday 6th December and Tuesday 13th December. Further info, including links to buyers and sellers registration documents, are available from Nick Champion. – Druid mistletoe events this season include the public event at Tenbury Wells, which will be at 3pm on Saturday 3rd December at the Burgage. More details later. Though it’s worth noting that you can follow that up with an evening with Damh the Bard at the Fountain Inn, Tenbury. Tickets for Damh are available here. – Mistletoe Surveys – all ongoing, particularly the management surveys. Details of those are on our survey website. – Mistletoe Matters consultancy is open for advice, talks, media assistance etc – details of that here. – And last but not least the English Mistletoe Shop (not be confused with similarly-named traders!) is open for grow-kit and book orders – details of all on the shop website. That’s all for now… more soon! All Hallows’ Eve, and the mistletoe is ripening… Not that it’s got anything to do with Halloween of course, other than being a mysterious plant, a symbol of pagan tradition and a portent of the dark winter months. Which is, I s‘pose, quite a lot. But with November dawning tomorrow we’ll soon be right back into mistletoe season. So I think it’s fair to say this is Mistletoe’s Eve too. The Tenbury Wells Mistletoe Auctions are on three Tuesday mornings as usual – this year’s dates being 24th November, 1st December and 8th December. They’ll be at Burford House Garden Store again, like last year. For details of times, location etc visit Nick Champion’s website (Nick is the auctioneer). 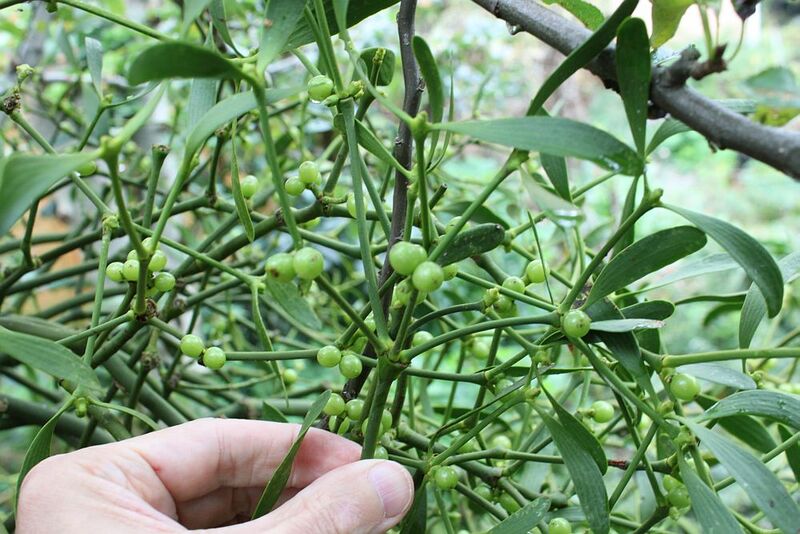 There will be some mistletoe management training from Mistletoe Matters this season – some for private groups, some open to all – details will be available later in the season. I am aware of plans for two druid mistletoe ceremonies so far – more may be announced later. Some are private events, others are open to all. One of the public events will be at Tenbury Wells on Saturday 28th November at 3pm. And talking of new websites, as well as the new surveys website there is now a new website for Mistletoe Matters, where I put most of my mistletoe advice. I’ll post some info about that soon too. Not forgetting, of course, the ongoing Mistletoe Pages website, which has loads of general mistletoe information. Last but not least there are the online mistletoe trading websites – including my English Mistletoe Shop – the main site here, or the dedicated Grow-Kit site here. We (English Mistletoe Shop) are not selling mistletoe online this season – but I’ll post a review of those sites that are (including those with confusingly similar names to us) in November. And, er, that’s it for now. 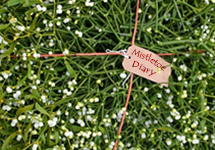 There’ll be more Mistletoe Diary blogging soon – I’ve been saving lots of stuff up for November/December….